What's the Voodoo Blues Scale ? 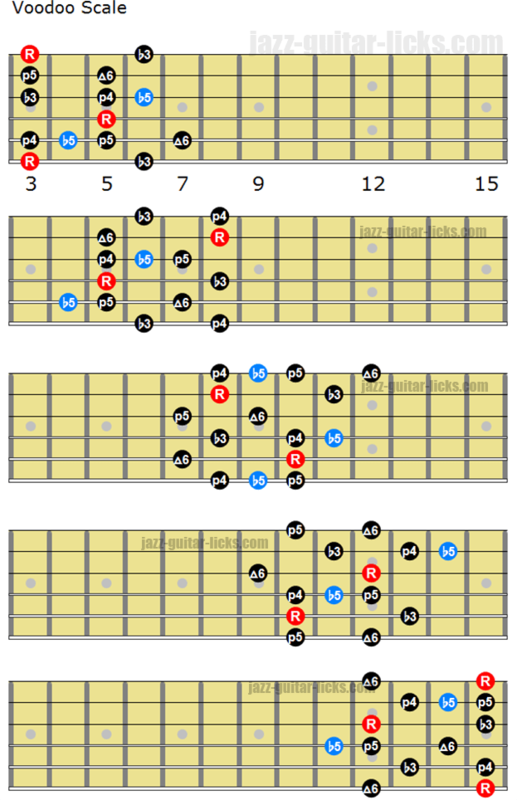 The Voodoo blues scale is a hexatonic scale, it is a variation of the minor blues scale (with a b5). It contains a sixth in place of a b7 giving the interval pattern 1, b3, 4, b5, 5, 6. The Voodoo blues scale can be used over m6, m13, maj6, dom13 and 7#11 chords. The shape below shows how to play the five modes of the Voodoo Blues Scale on guitar.